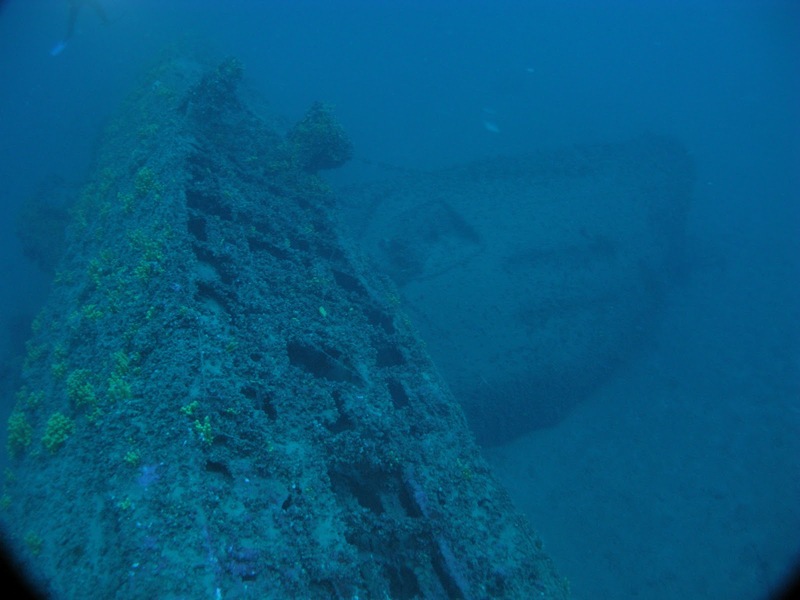 The wreck of U-133, broken in two, after hitting a mine off Aegina Island, Greece. 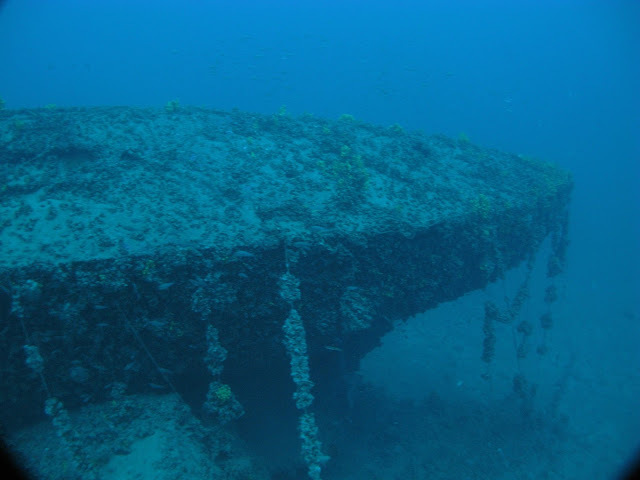 Few people have the opportunity to dive a WW2 U Boat wreck, the feared weapon of nazi Germany. 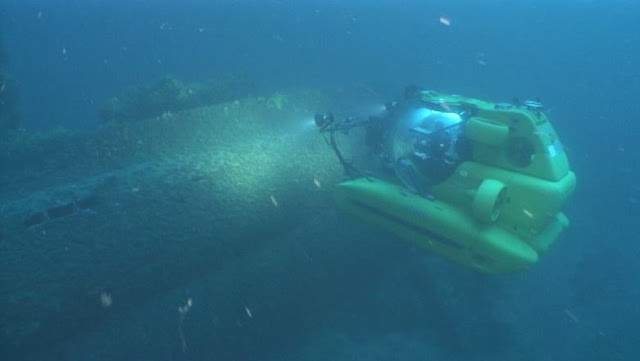 Submersible Commander and scuba diver Kostas Katsarosfrom Athens, Greece, is one of the few persons in the world who has dived the nazi U Boat U-133, which was lost on March 14, 1942 with all hands, close to Aegina Island, Greece, both as a Submersible Commander, as well as a scuba diver. 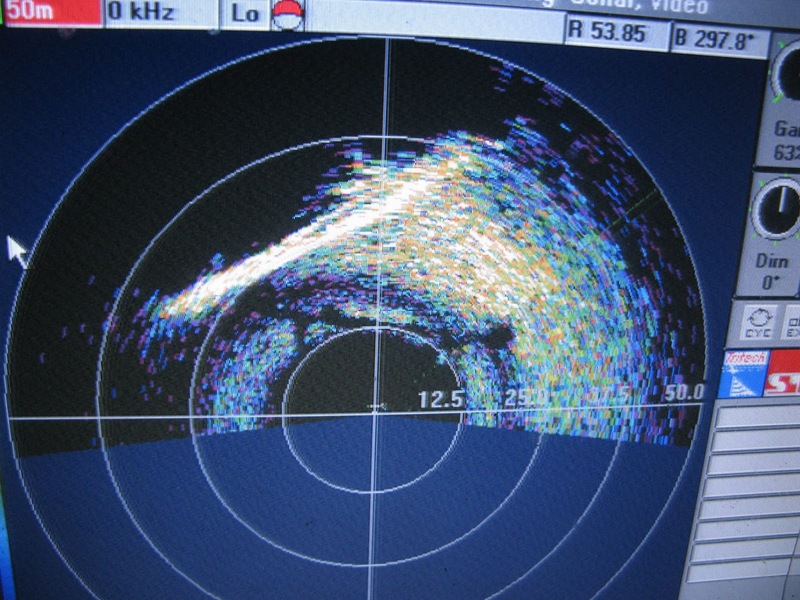 Sonar image of the U-133 wreck. German submarine U-133 was a Type VIIC U-boat built for nazi Germany’s Kriegsmarine for service during World War II. She was laid down on 10 August 1940 by Vegesacker Werft, Bremen-Vegesack as yard number 12, launched on 28 April 1941 and commissioned on 5 July that year. U-133 sank after striking a mine, off Aegina Island, Saronic Gulf, Greece, on 14 March 1942, with all hands lost. At 17:00 hrs on 14 March 1942 U-133 left her base at Salamina Island, Greece. Only 2 hours later she hit a mine off Aegina Island, broke in two and immediately sank with all hands. The German commander of the 23rd Flotilla stated after the incident that U-133 was lost due to a navigational error that led the U Boat through the minefield. ” I first dived U-133 on March 27, 2010 with the diving team ofAntonis Grafas. 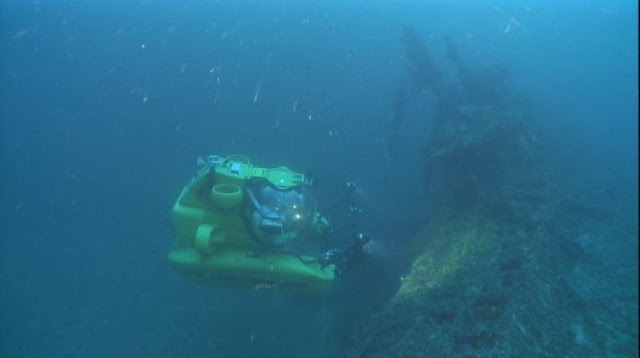 After much reading on the tragic fate of U-133 and her crew at last I had the submarine wreck right before my eyes. I didn’t stop shooting photos, while my mind was full of images and stories from this terrible weapon of the era. The mixed feelings of awe and admiration about the tragedy that happened right there were a unique experience. Unfortunately, time inexorably passed quickly and after spending a bottom time of 25 minutes at 78 metres depth, I had to slowly begin my ascent to the surface. 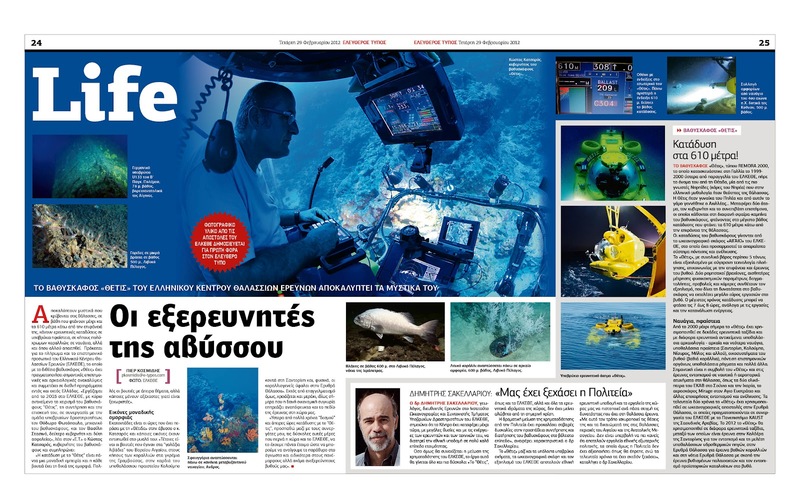 On November 12, 2010 I had another dive at the U-133, but this time with a… submarine, the submersible “Thetis”, of the Hellenic Centre for Marine Research . Diving with a submarine to see a submarine wreck is a quite memorable experience. 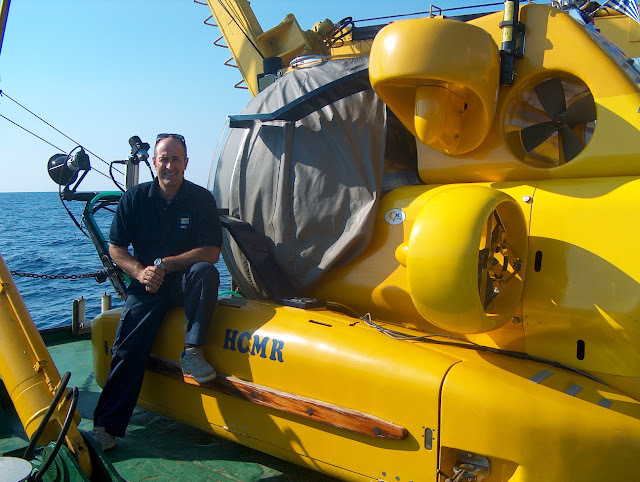 Feelings of joy were overwhelming, as this time I was seated comfortably in the submersible, without time constraints that scuba divers face. 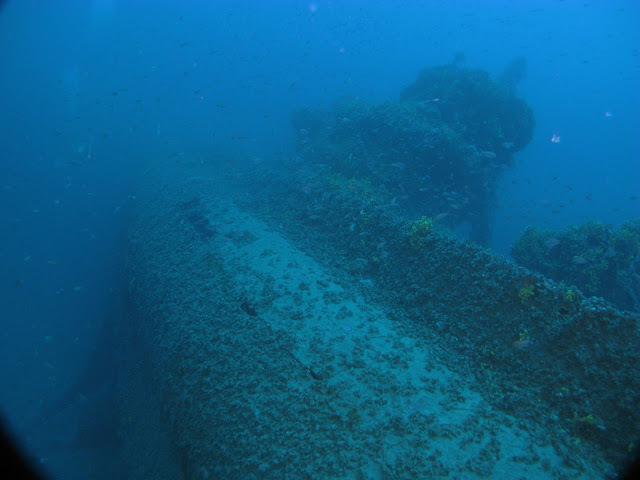 I could see all of the wreck’s details, the severed bow resting on the stern, the conning tower, the cannon and many objects around U-133 I did not have the time to examine while scuba diving there a few months before. What attracted my interest was the open hatch of the conning tower, confirming the fact that the ill -fated U Boat was on the surface when it hit the mine that destroyed her. After spending over an hour around the wreck a voice over the submarine’s intercom said “Permission to surface granted”. Usually, as the Submersible’s Commander I am the one to request permission to surface, but in that case, the surface vessel “AEGEO” gave the permit, as if implying “OK, you’ve spent enough time at the wreck, now get back to the surface”. The manned submersible THETIS was constructed, in 1999 in France by the company COMEX S.A, to very high technical specifications and has great potential for a wide range of scientific activities. 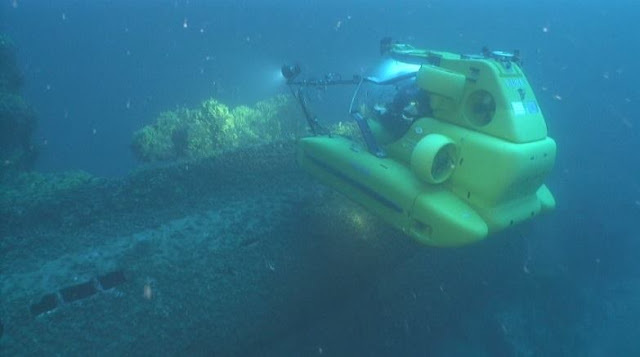 It has a wide optical field, with distinct advantages over previous submersibles using older technologies. It is fitted with light projectors of advanced technology specially equipped for photography and cinematography. 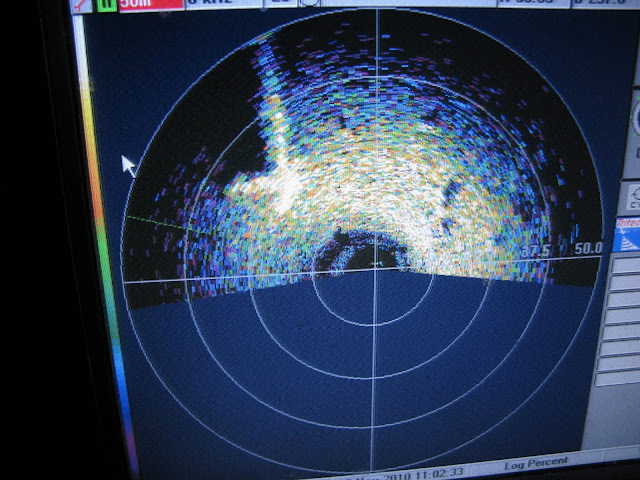 In addition it has a special intercom system for communication with the research vessel AEGAEO of which it forms an integral part. 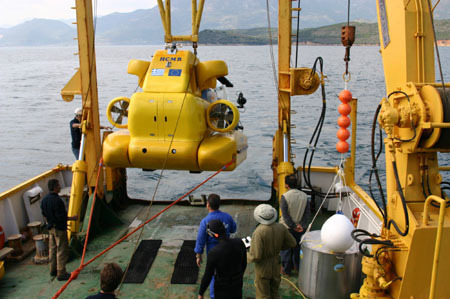 Support in underwater archaeological research. She has a modern sonar echo sounder of high resolution which provides high standards of safety in terms of visibility, and it is particularly effective for the location of wrecks, communication systems (UHF, VHF, underwater telephone), a special com system with the R/V AEGAEO, navigation systems, cameras and powerful lights for photography and cinematography. She is equipped with 2 robotic arms (5 and 3 axis of movement) for its many applications and range of activities, with the possibility of lifting objects of up to 100 kg in weight. For the atmosphere control she is equipped with the appropriate gas meter instruments. She is also equipped with cutting equipment, hydraulic pistons, vacuum pumps, etc., for special needs. Length 3.4m, Width 2.4m, Height 2.5m, Weight 5.5 tonnes. She can accommodate a crew of two. Operational depth 610m, speed 2.5 knots. For her propulsion she has 5 hydraulic generators of 11KW. Her energy source is an electric lead battery, wet type, 160 volts. In case of emergency it can stay submerged for three whole days as it possesses a life support system (food, water and oxygen for the 2-man crew). 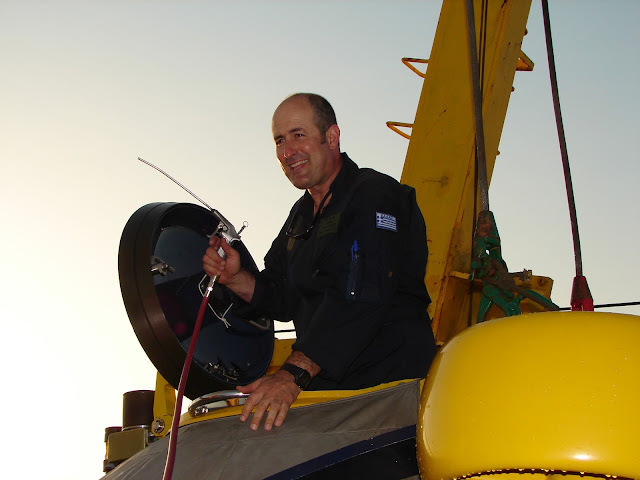 The submersible is propelled by two power batteries of a special type with a total power of 160 volts. The cathode and anode are independent of the electronic system and it is maintained with an air supply in a special ballast tank. In case of emergency a ballast weighing 212 kg can be jettisoned.